To claim this profile, please confirm you are Samanthay Billie. To follow this profile, please let us know your relationship to Samanthay Billie. The Holbrook varsity basketball team lost Saturday's neutral playoff game against Page (AZ) by a score of 46-33. 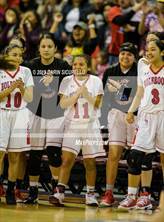 Samanthay's basketball stats have been updated for the win vs. Chinle. RESULTWin Girls varsity basketball vs. Chinle. The Holbrook varsity basketball team won Friday's neutral non-conference game against Chinle (AZ) by a score of 46-32. Samanthay had 1 photo tagged from the game against Tanque Verde. Samanthay's basketball stats have been updated for the win vs. Tanque Verde. RESULTWin Girls varsity basketball vs. Tanque Verde. The Holbrook varsity basketball team won Monday's neutral non-conference game against Tanque Verde (Tucson, AZ) by a score of 57-45. RESULTWin Girls varsity basketball vs. Fountain Hills. The Holbrook varsity basketball team won Friday's neutral playoff game against Fountain Hills (AZ) by a score of 64-38. Samanthay's basketball stats have been updated for the win vs. Show Low. The Holbrook varsity basketball team won Friday's home conference game against Show Low (AZ) by a score of 43-17. Samanthay's basketball stats have been updated for the win vs. Blue Ridge. RESULTWin Girls varsity basketball vs. Blue Ridge. The Holbrook varsity basketball team won Tuesday's home conference game against Blue Ridge (Lakeside, AZ) by a score of 62-49. Samanthay's basketball stats have been updated for the win @ Snowflake. RESULTWin Girls varsity basketball @ Snowflake. The Holbrook varsity basketball team won Friday's away conference game against Snowflake (AZ) by a score of 50-38. RESULTWin Girls varsity basketball vs. Winslow. The Holbrook varsity basketball team won Tuesday's home conference game against rival school Winslow (AZ) by a score of 40-35. RESULTWin Girls varsity basketball @ Payson. The Holbrook varsity basketball team won Friday's away conference game against Payson (AZ) by a score of 56-34. RESULTWin Girls varsity basketball @ Show Low. The Holbrook varsity basketball team won Tuesday's away conference game against Show Low (AZ) by a score of 31-27. The Holbrook varsity basketball team won Saturday's home non-conference game against Valley (Sanders, AZ) by a score of 44-35. RESULTWin Girls varsity basketball @ Blue Ridge. The Holbrook varsity basketball team won Friday's away conference game against Blue Ridge (Lakeside, AZ) by a score of 68-33. Samanthay's basketball stats have been updated for the win vs. Snowflake.